Once again, travel writer and longtime maryland resident Allison Blake surveys the Chesapeake Bay area and its distinctive lodgings, aquatic adventures, and tucked-away towns. In Explorer's Guide Baltimore, Annapolis&The Chesapeake Bay: A Great Destination , the new version of her well-loved guidebook The Chesapeake Bay Book , Blake has also thoroughly explored from Baltimore (the colorful old port city that anchors the northern end of the Bay), to Maryland's 300-year old capital, Annapolis (known as America's Sailing Capital), south to the Potomac River and the Eastern Shore and onto the Virginia border. This is Maryland's Chesapeake Bay plus iconic Tangier Island, located in Virginia. This expansive guide will give visitors and residents alike all the information they need to fully explore and enjoy the thousands of miles of shoreline, the towns and cities, and the adjoining countryside of this lovely and historically significant area. Whether you're interested in urban or outdoors adventures, oysters in a chic bistro of famous Maryland blue crabs on a paper-covered picnic table, pursuits like hiking, biking, boating, museum-hopping, or relaxing on a beach, Maryland's Chesapeake Bay has everything you're looking for. As in every Explorer's Great Destinations title, you’ll find helpful information for lodging, dining, shopping, transportation, recreational activities, and special events. The focused and very helpful "If Time Is Short" advice, historical notes, and many maps and photographs make this an indispensable guide. Use it to help you discover all the Chesapeake region has to offer. Includes: history, lodging, dining, culture, recreation, shopping, transportation and more! 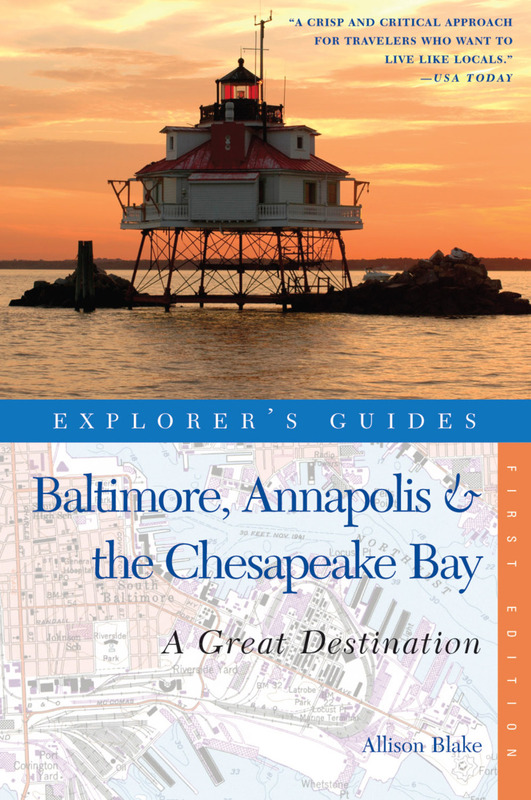 Previous editions of this guide were published under the title The Chesapeake Bay Book . Allison Blake is the author of Explorer's Guide Louisiana; Explorer's Guide Baltimore, Annapolis, & The Chesapeake Bay (as well as the author of its previous editions, published under the title The Chesapeake Bay Book), and Maryland Curiosities. She has contributed numerous articles to National Geographic Traveler, the Boston Globe, the Washington Post, and Baltimore Magazine, among other publications. Blake is a part-time New Orleans resident and also lives outside Annapolis, Maryland.